For women (single, married, mothering or otherwise) looking for an opportunity to survive this busy world and check-in with their spirituality, or an opportunity to share ideas that can help nourish or revive it, or just in need of some good sisterly TLC – you are welcome here! We meet the first Tuesday of the month between 7.30pm to 9pm (whenever we can make it) in the Parish Rooms and simply have a chat over wine or a cuppa, then watch a movie, talk or read about a faith topic of interest and relevance to us. It is very informal and over the past year, when general chat hasn’t happily taken up the whole time we have watched some movies eg. Amazing Grace, Molokai, had a BYO Syrian DInner (to remind us of how lucky we are) and said the rosary together since we are all a little rusty! If you think this might be for you and want to join us or just want to visit as a one off to see if this is for you please do not hesitate to call Anna O’Malley-Jones 0413 367 435. We also hold a one off fundraiser in the Parish Hall each Melbourne Cup Day, in an attempt to give a little back and put our faith into action. You, your children and friends are all welcome to have some frivilous fun whilst raising awareness and funds for Caritas projects aimed at helping our voiceless sisters around the world who fight unfathomable injustice. If this is more your thing we’d love to see you there with your hat and heels on! Check the school or parish websites for updates and details closer to the day. 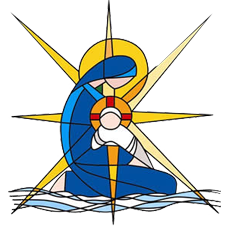 Click here for the Sisterhood National Catholic Women’s Movement website. Our Terrigal Sisterhood Connect group would love for you to join us at our next catch-up!